According to the principal deputy attorney general for policy and planning at the Department of Justice (DOJ) Tax Division, Caroline D. Ciraolo, the DOJ is preparing for an intense crackdown on offshore tax evaders and people hiding assets overseas. Stating that taxpayers should come forward as soon as possible, Ms. Ciraolo said that “Time is of the essence” and “come in now, or face the consequences”. Ms. Ciraola, a featured speaker at the Federal Bar Association Tax Advice & Controversy Conference, stated that the government’s investigations has extended far beyond Switzerland to several other countries including Barbados, Israel, India, Liechtenstein, Luxembourg and others. She stated that just because there may not yet be any public disclosures should not be interpreted as inaction on the part of the Government. She continued that information is being received and analyzed from a large number of sources. This includes information being turned over by several Swiss banks to avoid prosecution for their roles in the offshore activities. This, in turn, is being used to start new investigations and to target new taxpayer “misconduct”. They are “looking at everything they receive”. Our experience in preparing offshore voluntary disclosures has shown us that the required forms contain questions about who assisted in setting up accounts both here in the United States and abroad, the advice given, the dates and places of meetings, any “facilitators” and so forth. This also is being reviewed by the IRS for “leads” as to other banks and persons of interest. To avoid possible criminal penalties and civil fraud penalties, taxpayers should consider participating in one of the different offshore voluntary disclosure programs and to do so sooner than later. As more time passes, the penalties are becoming stiffer. Last July, the IRS announced that anyone with an account at or with so-called “listed” banks or persons, such as UBS (the list can be viewed at the IRS website), would now have to pay a 50% offshore penalty instead of the usual 27 ½% penalty. To make things worse, this 50% penalty would apply to all of the taxpayer’s offshore accounts even if the others were at non-listed banks. Prior to the 27 1/2 %, the penalty was 25%. So as time passes, the sanctions are getting potentially worse. 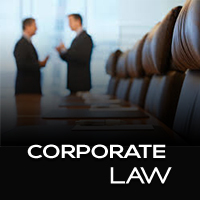 Corporate clients should be aware that Florida companies have a public presence in the database of the State’s Sunbiz website, and as a result, their information is open to any who may want to seek it. Third parties may try to take advantage of their access to this public information. It has been reported that fraudulent notices and solicitations have been recently distributed to Florida companies. These solicitations ask for money in return for a certificate of status, which the solicitors say is required to be considered a valid business entity with the State of Florida. Be aware that these notices are NOT from the Department of State, the Division of Corporations or any other state or federal agency. Once an entity is properly formed, incorporated, organized or registered on the records of the Division of Corporations, it is not required to purchase or receive a certificate of status to be considered a valid business entity or registration. DISREGARD ANY NOTICES OR SOLICITATIONS YOU MAY RECEIVE TO THE CONTRARY. Businesses may also begin to receive solicitations regarding “Annual Minutes” or “Annual Corporate Record Forms” for a fee of $125. The solicitations which companies may receive regarding these annual minutes may request confidential ownership information. These mailings are not from the ShuffieldLowman office and they are not from the Department of State or any other state or federal agency. DISREGARD THESE NOTICES. There is a warning on the State of Florida’s Division of Corporations website reiterating this information. Clients who have questions about materials received in the mail regarding their company, are urged to call the firm’s offices to confirm the validity of the material. Experience shows that many people do not read their tax returns; whether it be their personal, partnership, corporation, sole proprietorship, or other business entity returns. While tax preparers work to anticipate all questions that may apply to a tax return, there may be a tendency to presume an answer, unless a taxpayer addresses a specific issue. For this reason, the taxpayer must read all of their return to help their preparers know more about each of their current business dealings. For example, on Form 1040, Schedule B there is a question: Do you have an off-shore bank account? Then there are several follow-up questions. Studies reveal that a taxpayer is frequently not even aware that an applicable question is on the return. The outcome is that this answer is sometimes incorrectly answered by the taxpayer, with the inadvertent commitment of perjury. Taxpayer punishment, rather than accident-forgiveness, is more often than not the result. This is because the IRS makes it clear, under the signature line on the return, that a false statement could constitute perjury. Similarly, business returns, that is partnership returns, corporate returns, and sole proprietorship returns, among others, contain questions concerning whether or not the taxpayer made any payments during the year that would require the taxpayer to file Forms 1099. For example, on the partnership return (Form 1065), that question appears as question 18a. On Form 1120 (corporate return), it is question 15a. The concern is that, once again, the taxpayer is sometimes not even aware the question is on the return. As noted above, this is due to the taxpayer very frequently not reading the return, except for their own dollar numbers. Penalties for failure to file Forms 1099 continue to be high, as do penalties for late 1099s, running as high as $100 each. These questions as to whether or not the taxpayer made any payments during the year that would require the taxpayer to file Forms 1099 could also result in even more serious difficulties. If the answer is “yes,” then the IRS wants to know whether the taxpayer did, or will, file the required 1099s. If the answer is “no,” but, in fact, should have been “yes,” then the taxpayer faces the possibility, once again, that they have made a false statement. If the taxpayer answers “yes,” but then states the 1099s have not been filed, then that is a red flag for an audit. Payroll tax audits are becoming more and more frequent as a result of the IRS having conducted national research on this issue and determining that there was a high level of noncompliance. Further, since the Affordable Care Act requires that businesses having a certain number of employees provide a specific level of insurance for staff, the IRS is aware that many entities are trying to avoid having the requisite employees and are treating people as independent contractors. Therefore, the IRS is focused on whether 1099s are being filed for those individuals. The point is that you need to be sure that, if you have to file 1099s, you are doing so. But, in addition, also be fully aware that the IRS is specifically checking, when you file your individual sole proprietorship, corporate, or partnership return, whether or not you did so. Being alert of these issues can avoid unnecessary and accidental problems, and all the difficulties that those may lead to in terms of audits, the expense of correcting the issue, and possible penalty assessments or more serious punishment. Are you signing on the bottom line? Then read all of your tax return, because the buck really does stop with you. The IRS has increased its audits of small businesses. A common issue is whether or not the owners or officers of an S-Corporation are paying themselves adequate, or for that matter, any salary. Often, S Corporation owners pay themselves little or no salary, and simply take their income through distributions reported on Form K-1 at the end of the year. This is done to avoid paying payroll taxes since none are due on corporate distributions but are clearly due on salaries paid to corporate shareholders. The IRS looks at a number of issues. 1) Is the nature of the business such that revenue is driven more by the corporation’s capital, assets, and other employees, than by the shareholder’s personal efforts? 2) What are the qualifications and responsibilities, and how much time and effort is devoted to the business by the shareholder? 3) Is the shareholder being paid the same or less than non-shareholder employees? 4) What are comparable businesses paying for the same types of services? 5) Are the distributions substantially greater than the salary? 6) What is the financial condition of the business? These are all factual issues to be determined on a case by case basis, but paying oneself little or no salary, while taking large distributions, is an excellent way to attract an audit. Shareholders should address this issue with their tax consultants in an effort to arrive at a reasonable balance between compensation and distributions. The IRS has announced (Announcement 2011-64) a Voluntary Employee Classification Settlement Program (VCSP). This allows qualifying taxpayers to voluntarily enter into an agreement with the IRS concerning workers who have been treated as independent contractors, who should have, in fact, been classified as employees. The IRS has conducted a national research project on this issue. On September 16, 2011, the Department of Labor and the IRS entered into an agreement to share information between them to further pursue this issue of misclassification of workers. To participate in this voluntary program, employers must submit an application and must agree to treat their workers, or a class or group of workers, as employees, and to withhold on them in future tax periods. 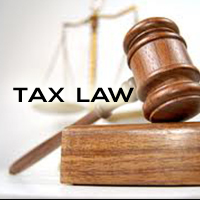 The employers must also agree to extend the statute of limitations for assessment of employment taxes for each of the three calendar years beginning after the date of the agreement. In exchange, employers will pay 10% of the employment tax liability due for the most recent year. There will be no interest or penalties assessed. Further, the IRS will not conduct an employment tax audit for the prior years. The tax liability will be calculated under the reduced rates provided by section 3509, which is 20% of the normal employee FICA tax. Employers must not currently be under audit by either the IRS, the Department of Labor, or any state agency relating to worker classification. Any employer who has been previously audited as to worker classification, must have complied with the results of the audit. Also, employers must have consistently treated the subject workers as non-employees, which means they must have filed all required forms 1099 in the previous three years. The application to be filed is Form 8959 Application for Voluntary Classification Settlement Program. The form must be filed at least 60 days before beginning to treat the workers as employees. The Announcement notes that the IRS “retains discretion” as to whether to accept the application. Accordingly, further evaluation of a taxpayer’s situation may be required. Further, consideration must be given to the impact of Florida’s unemployment tax liabilities. This may be an excellent opportunity for those individuals who are concerned about past treatment of workers, particularly in this environment of increased payroll tax audits and the IRS’s dedication of new resources to this issue. The IRS has warned taxpayers that any “quiet” or “silent” voluntary disclosure of an offshore account, in an attempt to avoid either the first or second voluntary disclosure programs, would not be considered to be a valid voluntary disclosure, and might be subject to criminal treatment. Apparently, in an effort to show that it is serious, on May 19, 2011 the government filed it’s first criminal prosecution of a taxpayer who made such a silent disclosure (a silent disclosure is parlance among tax practitioners for a taxpayer who simply files the return through normal filing procedures, as opposed to participating in these programs). The defendant was a Mr. Schiavo. The defendant, according to press reports, entered into a plea agreement and is scheduled to be sentenced on January 31, 2012 (see 2011 WTD 98-43, 2011 WTD 99-36).